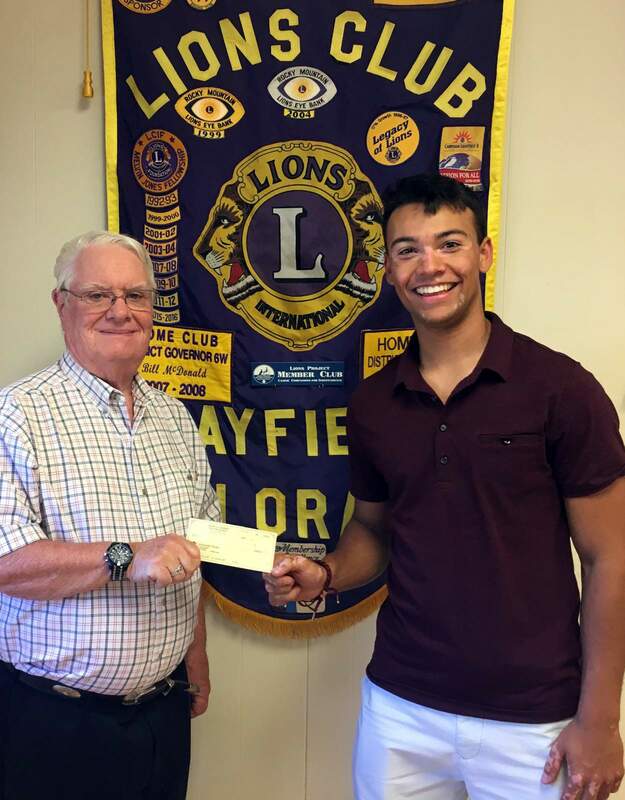 Ken Gaherty of the Bayfield Lions Club presents a Lions Foundation scholarship to John C. Valdez of Ignacio. Wyatt Whitmer of Bayfield also received a foundation scholarship. Scholarships from the Bayfield Lions Club were awarded to Sophie Turner, Lillian Imhoff and Sloan Mazur, who all graduated from Bayfield High School in May. Photo courtesy John Valdez Sr.